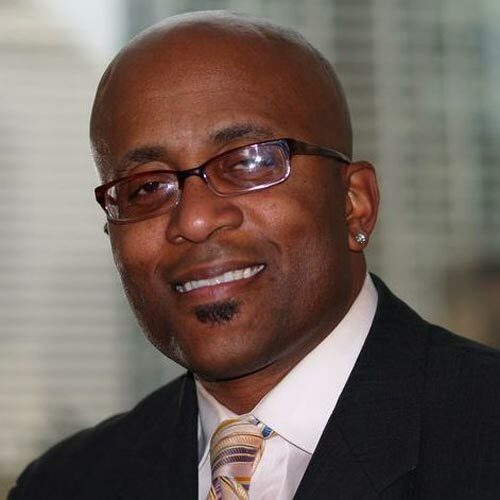 This former professor of African-American Studies at Indiana State University presents powerful programs dealing with how employees can become more accepting of their current positions while taking positive and meaningful steps toward improving both their careers and lives. In addition, other programs he delivers reveal to managers the interface between leadership and management. While many workshops stress leadership concepts over daily management concerns, James’ highly effective approach provides a roadmap to reaching the objectives of both. James has been a guest speaker at events hosted by SHRM, Allstate’s Express University, NAACP’s national convention, DFAS (Defense Finance and Accounting Service), Kraft Foods, the BIG Conference, and the host of a local education radio show. He is a member of Class 30 of the Stanley K. Lacy Leadership Series, a prestigious, yearlong development opportunity extended to 25 young professionals per year to enhance civic engagement and leadership. James was voted the “Highest Award Winner” by the Dale Carnegie Personal Development Institute and was named among the “Who’s Who 2009” in Indianapolis. He is an active member of Omega Psi Phi Fraternity, Inc. and serves on several other boards.